"A comprehensive history of beer brewing." This comprehensive reference combines the technological know-how from five centuries of industrial-scale brewing to meet the needs of a global economy. The editor and authors draw on the expertise gained in the world's most competitive beer market (Germany), where many of the current technologies were first introduced. Following a look at the history of beer brewing, the book goes on to discuss raw materials, fermentation, maturation and storage, filtration and stabilization, special production methods and beermix beverages. 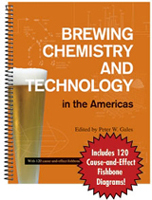 Further chapters investigate the properties and quality of beer, flavor stability, analysis and quality control, microbiology and certification, as well as physiology and toxicology. Such modern aspects as automation, energy and environmental protection are also considered.